Conspiracy theory or is it merely a fact? Sure some may feel as though it has been debunked automatically, by way of former President Obama being a President of the United States, but they’re wrong. Well, at least from what has been proven so far. 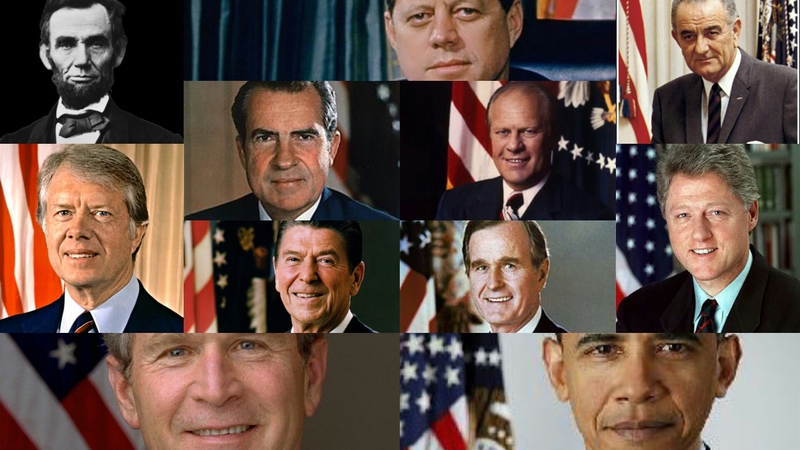 For starters, all 44 U.S. Presidents have carried European royal bloodlines into office? 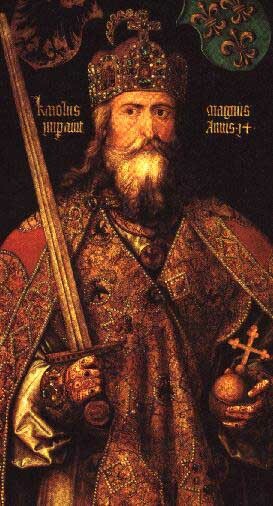 34 have been genetic descendants from just one person, Charlemagne, the brutal eighth century King of the Franks. 19 of them directly descended from King Edward III of England. In fact, the presidential candidate with the most royal genes has won every single American election. Alfred the Great, King of England, and Charlemagne, the most famous monarch of France. So it goes on: 19 of them are related to England’s Edward III, who has 2000 blood connections to Prince Charles. If America declared its Independence from the European monarchies in 1776, how is it possible that every single president has descended from European monarchs? If presidents are democratically elected as we are told, what are the odds that we would always choose members of British and French royal bloodlines to lead us? Researchers like David Icke, Michael Tsarion, and Fritz Springmeier, along with foundations like the New England Historical Genealogy Society, Burkes Peerage, the Roman Piso Homepage, and other reliable genealogical sources have documented these royal presidential bloodlines. 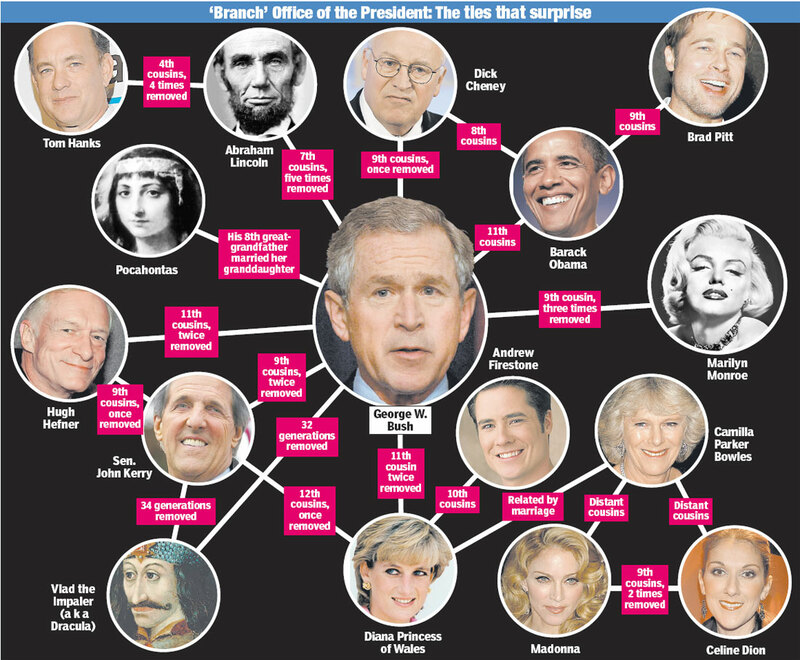 Actually, by branching out far enough on the presidential family tree, the dedicated researcher will find that all 44 presidents share kinship, belonging to the same general ancestry, often called the 13th Illuminati bloodline, the Merovingian line, and/or the Windsor-Bush bloodline. Granted the relationships are sometimes distant 10th or 15th cousins, but in a country with hundreds of millions to choose from, this simply cannot be chance or coincidence. Gary Boyd Roberts, a genealogist at the New England Historic Genealogical Society thoroughly traced these connections in his book “Ancestors of American Presidents.” George W. Bush himself is directly related to 16 former U.S. presidents including George Washington, Millard Fillmore, Franklin Pierce, Abraham Lincoln, Ulysses Grant, Rutherford B. Hayes, James Garfield, Grover Cleveland, Teddy Roosevelt, William H. Taft, Calvin Coolidge, Herbert Hoover, Franklin D. Roosevelt, Richard Nixon, and Gerald Ford. Bush is closely related to the king of Albania and has kinship with every member of the British royal family and the House of Windsor. He is related to 20 British Dukes, the 13th cousin of Britain’s Queen Mother, and of her daughter Queen Elizabeth. He is 13th cousin once removed from Prince Charles and has direct descent from King Henry III, Charles II, and Edward I of England. 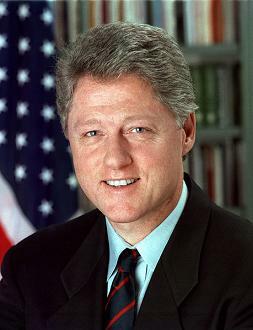 Through the House of Windsor and King Henry III, the Bush’s and Bill Clinton are genetically related as well. 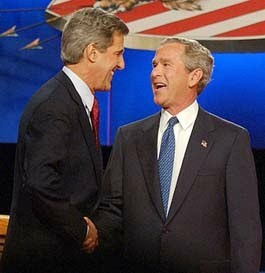 In 2004 George W. Bush ran as a “Republican” against “Democrat” John Forbes Kerry – his 16th cousin. These cousins, related to the same British and French monarchs, are also secret society brothers in the infamous Skull and Bones fraternity. 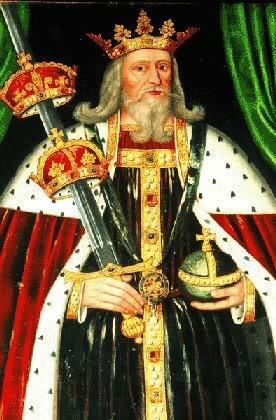 John Kerry descends from King Henry II of England and Richard the Lionheart, leader of the third Christian crusade in 1189. He also has links to royalty in Albania, Sweden, Norway, Denmark, Russia, Persia, and France, but still not enough royal genes to top George Bush. Earlier in 2000 we see the same story – George W. Bush ran neck and neck with Al Gore; another supposed democrat and cousin of the Bush family. By placing bloodline members on both sides of America’s faux political dichotomy, the old monarchs have guaranteed their right to throne under the guise of democratic elections. Back in 1996 we see the same tactic as “Democrat” Bill Clinton defeated “Republican” Bob Dole, his cousin. The Windsor-Bush bloodline reaches from the American presidents, back to British/European royalty, and it doesn’t stop there. It continues back through Roman emperors, all the way to Babylonian Kings and Egyptian Pharaohs near the beginning of recorded history. From Marie Antoinette and King Louis XVI, the French line continues back through Louis XV-I, Charles XI-I, Henry IV-I, Philip V-I, Robert II and many other French monarchs. It passes the de Medici family, specifically Queen Catherine de Medici of France, who supported Columbus’ expedition to the “New World” along with bloodline Queen Isabella of Castile, King Ferdinand of Spain, and the House of Lorraine. It was also Queen Isabella and King Ferdinand who started the 350 year Spanish Inquisition, which ordered the murder of millions who refused to convert to Christianity. And from the House of Lorraine, Duke Godfroi de Bouillon became the first Crusader King of Jerusalem. Before the Habsburgs, the House of Lorraine and Charlemagne were the Merovingians (Meroveus/Merovee) who originally brought the bloodline to France and Northwest Europe. 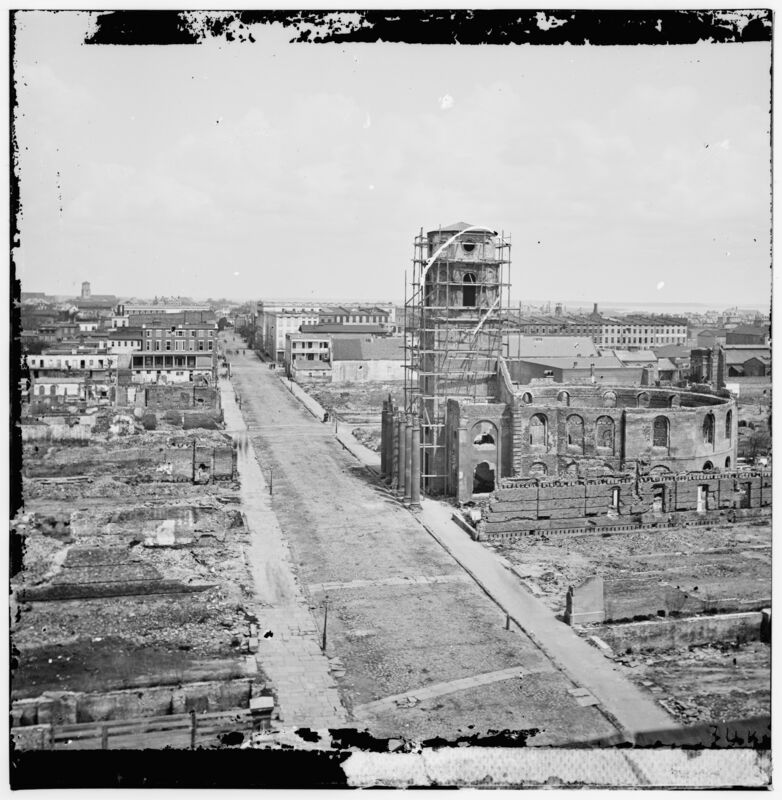 Back in 4th century Rome the bloodline passed through Emperor Constantine, the first professed Christian emperor who initiated the Roman Empire’s transition into a Christian State and presided over the first Council of Nicaea. He was preceded by the Roman Piso family whom will be discussed at length later. Before them came Herod the Great of Biblical fame and Ptolemy XIV, son of the most well-known Roman emperor Julius Caesar. Back the bloodline goes past Alexander, past Nebuchadnezzar IV, III and other Kings of Babylon, all the way to ancient African Kings and Pharaohs of Egypt – Ramesis II, I, Tuthmosis IV, III, II, I, Amenhotep III, II, I and many more. For millennia these Kings, Queens, Pharaohs, and Emperors have obsessively interbred with themselves to preserve and spread their bloodline. They have ruled over us since the beginning of recorded history, claiming they were given divine right to the throne by God or gods. “This ‘Divine right’ is simply the right to rule by DNA. We have a head of state in Britain to this day who is only there because of her DNA and the whole freeloading hierarchy of the royal family is structured according to a person’s DNA relationship to the king or queen …what is royal rule by DNA if not outrageous racial and genetic elitism? This ‘Divine’ right to rule has nothing to do with the ‘Divine’ and everything to do with the real origin of these bloodlines. They claim to descend from the ‘gods’ of the ancient world and who or what these ‘gods’ were and are, I will explain in detail later. The ‘royal’ families have interbred incessantly with each other since ancient times because they are seeking to retain the DNA corruption that can apparently be quickly diluted by breeding outside of itself.